Edith Fay Waters Wayne, age 83. Resident of Covington, KY. 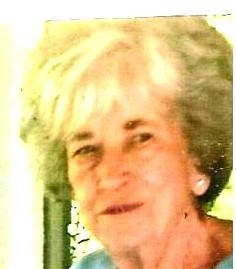 Passed to her eternal home on Monday, April 15, 2019 at the Rosedale Green Nursing Home, Latonia, KY. She was a Member of Trinity United Methodist Church, Latonia, KY, and a former member, chairwoman of the General Board of St. Luke United Methodist Church, Covington, KY and a retired Administrator's Assistant for the Fireman's Fund Insurance Co., Cincinnati, OH. Preceded in death by her: beloved husband Kenneth Wayne (11-14-2015) and parents Forrester and Beulah Holland Waters. She is survived by her: beloved friend and caregive, Cheryl Koller Amann; niece Karen Stegmann; nephews David, Richard and Robert Colvin: Funeral service 10:00 AM, Thursday, April 18th, Forest Lawn Memorial Park Chapel, 3227 Dixie Highway, Erlanger, KY. No visitation. Entombment Forest Lawn Memorial Park Mausoleum. Memorials, if desired, may be directed to Trinity United Methodist Church, 101 East Southern Avenue, Latonia, KY 41015. Allison & Rose Funeral Home, Taylor Mill, Kentucky serving the family.